Many Rivers Montessori is a learning environment that fosters independent, academically prepared, and socially responsible citizens who will be lifelong learners and problem solvers. We provide an ideal learning environment that focuses on the whole child during each stage of development from toddlerhood through adolescence—the benefits of which last a lifetime. Many Rivers Montessori strives to provide an outstanding Montessori education. Our success also has the potential to transform the educational landscape of the Twin Ports. Our region becomes a more attractive place for families to live and work when they have excellent schools from which to choose. Many Rivers’ new, permanent home will help shape this reality. In just four years, Many Rivers has grown beyond its greatest expectations. From 77 students at our opening to 135 students today, MRM needs a larger home. The historic Cobb School building, located just blocks from Hartley Park, will allow us to reach our projected enrollment of up to 200 students, ranging in age from 16 months to 8th grade. 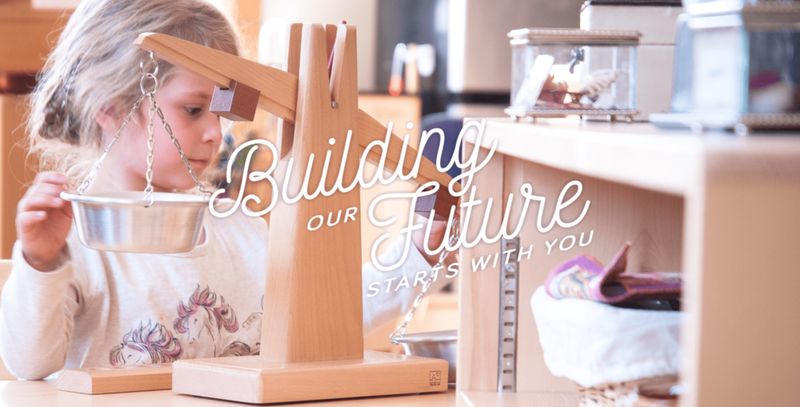 With this campaign we seek to raise the funds necessary to create model Montessori learning environments for our students, and for generations to come. The Many Rivers environment has suited me so well and allowed me to blossom in even my least strong subjects without feeling pressured in any way. The teachers are firm, but also very kind, and I was very glad when I switched to Many Rivers. My two sons (ages 5 and 3) attend Many Rivers Montessori. It has been an absolute joy to see how their individual creativity, uniqueness, and approaches to learning have been understood and respected. MRM has been a gift to my children, family, and community. We credit Many Rivers Montessori with nurturing our daughter’s love of language, which has become such a fundamental part of her identity. Built in 1913 with a 1964 addition, Cobb was originally designed as a K–8 school. In order to accommodate our youngest Montessori learners, we will completely remodel the newest wing to add kitchens, laundry, bathrooms, and all the necessary facilities to create new and beautiful Toddler and Primary classrooms. While our new building has the necessary space for MRM’s growth projections, the upper floors intended for Elementary and Middle School students need some cosmetic and functional upgrades to become the bright, welcoming Montessori environments our students need to fully reach their potential. Although Cobb is already in working order, the building is in need of updates to comply with ADA regulations and meet higher energy efficiency standards. We seek funds to add an elevator, upgrade the building’s HVAC system, and change out other outdated mechanicals. MRM’s outdoor playspace at Jefferson Square will be partially dismantled and moved to our new home, along with adding fencing and appropriate preschool-aged outdoor equipment. Additional building renovations will also add a library, art room, tutoring/practice spaces, and office/meeting areas. Parking lot repairs are needed, plus landscaping and fencing. Includes campaign costs, expected at less than 1% of overall project. Join us in building a school where children are excited to learn, and families feel supported by a diverse and loving community. Montessori students develop into self-motivated, inquisitive, compassionate people. Our graduates know the value of hard work, taking initiative, and have a great heart for service. Help us make this unique educational experience available to more and more children in our region.